Telephone Industries of Pakistan ( Under admin control of Ministry of Information Technology & Telecomm Division- GOP) was established in 1952 to meet the requirements of Telecommunication Switching Equipment of the country. 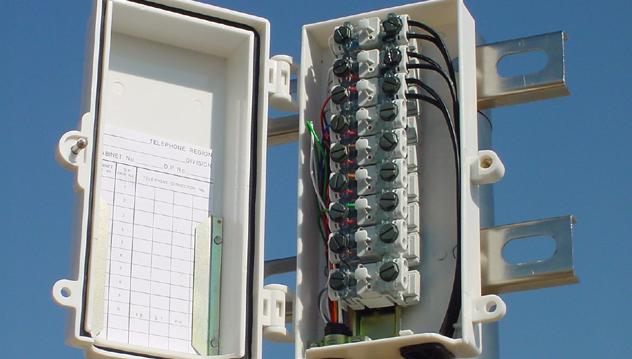 The main functions of the company are to plan, produce, install, test and commission the telephone exchanges and supply telephone instruments. Beside telecommunication equipment TIP is producing a variety of other products like Containers Shells, Single Phase Energy Meters, Fire Alarm equipment & Drop Wire. TIP is also an ISO-9001:2000 certified company. Telephone Industries of Pakistan is a huge complex having sufficient Technical know how and required production facilities to the maximum extent which can accommodate new projects / products in it. Our wide array of Manufacturing Capabilities and Value Added Services cover all industries, a Complete Integrated Solution for quick turn-around, high quality and cost competitive industry-leading products. As one of clients, your main benefits are Direct Manufacturer, One-stop Manufacturing Solutions, Extensive Variety of Manufacturing Capabilities, Low Engineering and Tooling Cost, Low Per-part Pricing, Fast Time to Market, Consistent High Quality and Reliability, Field Proven Application Solutions, Engineering Support Services and Flexibility for the Customer. Life certificate of following Pensioners have expired and requested to submit their Life certificate Immediately. A professional training workshops for development of the innovative products and distributed telecom equipments. A complete layourt of the organization staff including all managment workers staff for complete knowledge of visitors. We are ISO 9001:2000 certified company due to perfect quality and thats why We have potential customers. Dynamic and quality staff is here to develop innovative products all types of telecom sectors equipments. A potential marketing team and dynamic website is here to introduce our products all over the world.